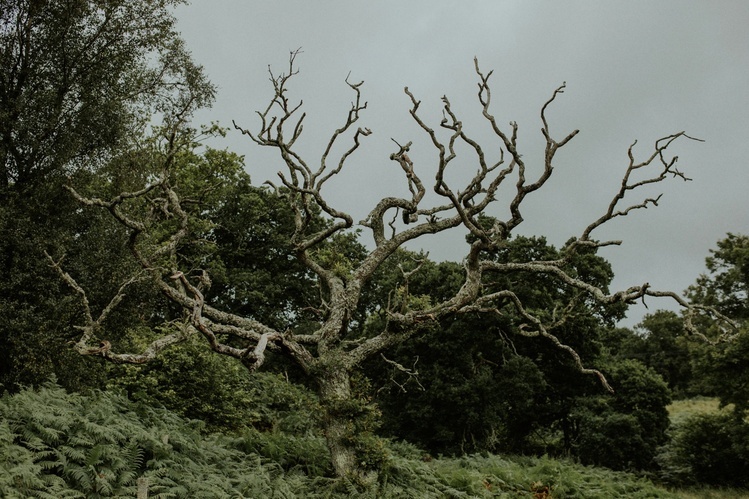 We thought we’d take a break from our crazy summer season to tell the story of one of our absolute favourite weddings, at one of our favourite venues in Scotland. It was the day that Glastonbury came to Scotland. This is the story of Janice & Innes. 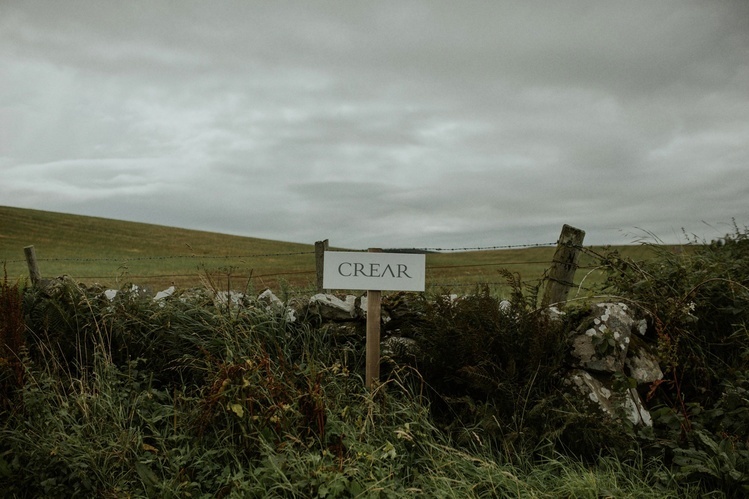 Every time we travel to this place on the beautiful coast of Argyll and Bute, the memories of all our amazing Crear couples come flooding back. 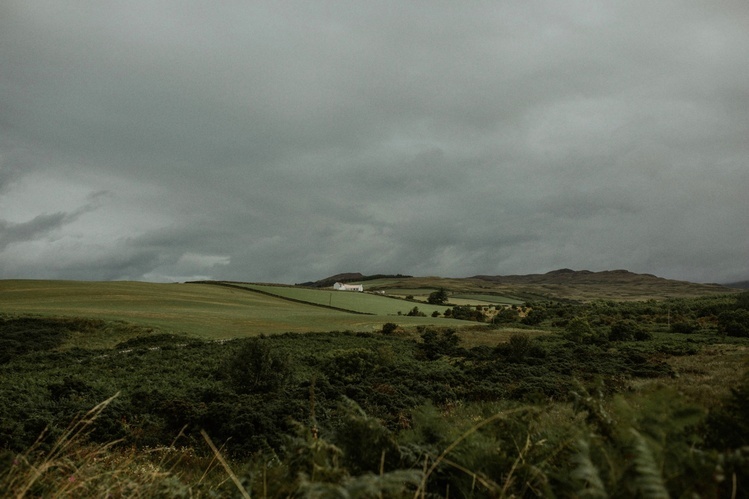 Because of its remote location overlooking the Paps of Jura and the isles of Islay and Gigha, weddings at Crear are always as spectacular as they are emotional. When we arrived that morning, we were greeted by Janice’s father, Eric (who came close to stealing the show that day) performing a ‘rain dance’ to chase some ominous-looking clouds back over the distant mountains… It worked. It also set the tone for the day ahead! Janice and Innes met and fell in love at Glastonbury, and years later got engaged there; so the festival would play a massive part in this amazing day. Huge flags led the way down to the beach where friends and family huddled together to greet our beautiful bride. The ceremony was full of love and laughter as everyone gathered in close to hear the words of Annie the celebrant – and to create a human windbreak! The rest of the day was a blur of colour, dancing, eating and drinking. We could go on and on about this amazing wedding and couple, but we think the photos tell their story better than our words ever could. We hope you enjoy this snapshot of this crazy day on the west coast of Scotland. It truly was one of the most memorable days we’ve ever had the privilege to be a part of. We love you guys! Crear, Argyll and Bute, August 2016.